The Christmas in Wyoming novellas are on Amazon! Halle Adams needs a loan. Blake Ellison needs a distraction. 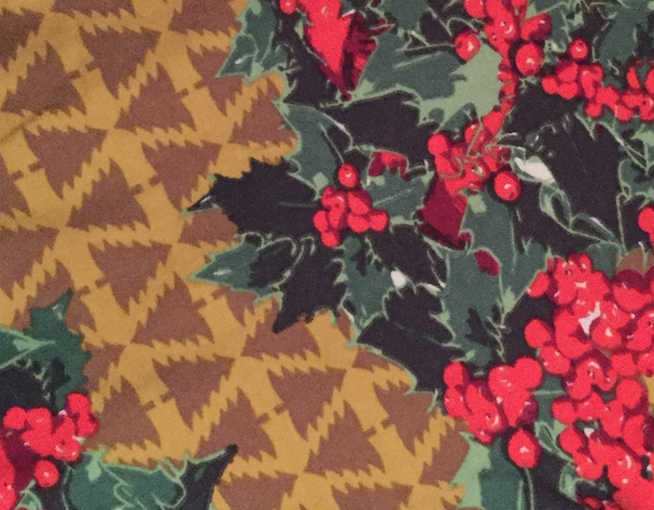 Will a business deal between strangers get hoodwinked by holiday hoopla? When long time foes, Luke and Candace, are forced to work together to stop city government from taking their businesses, will Christmas bring merriment and miracles or the destruction of everything they love? Sophie Graystone is a lead guitarist, florist, and neighbor to a man who won’t properly greet her. Marc Sizzo puts all his energy into his restaurant—period. Power outages, candlelight, and music lead them to connect until his ex-fiancé returns. Will the New Year spark hope or be their undoing? Candlelight Conspiracy is sensual. Lilia Carrigan feels the pressure to raise money for her dad’s cancer treatment. Vincent Morgenstern has to marry in order to inherit the company he loves so much. As they fake their way through events, holding hands, and kisses, will their December deal stay professional or will real feelings ruin everything? Silver Morgenstern is a hospital administrator who just can’t understand why Fisher Tibbs would request to be removed from the heart donation list. She’s determined to convince this big-hearted charity founder with so much to give that life is worth the fight. What she doesn’t expect is that the heart that’s saved just might be her own. A little holiday magic brings two workaholic legal eagles together in this delightful Christmas tale. The only case high-powered lawyer Henry Hale has on his docket this Christmas is the bah humbugs he’s trying to fight off. To cope with a houseful of loving but overexuberant family and all the good cheer running amuck in his life, he just might need help from an unlikely source. His star employee, Lorelei Sullivan, jumps at the unexpected chance to join Henry’s family events, even if she has only been invited as a buffer. What better way to cap off a stellar year than with a chance to prove she’s partner material and move her career to the next level? Baking cookies, card games, shopping for gifts—nothing is an imposition if it leads to making her case. But when the relationship between Henry and Lorelei begins to spark from legal to loverly, both of their plans start coming unwrapped. They’ll need more than a little holiday spirit to help them get this court in order. I’ll kill you if you touch her. Blood on my hands isn’t anything new. I’ve been killing my whole life and it’s not protecting the innocent type bullsh*t either. My sister died protecting others, she gave the ultimate sacrifice for our country. Now I’ll catch the murderer who did it. Except I’m the one who gets caught. The web of lies that is being spun around me is increasing and I can’t stop it. 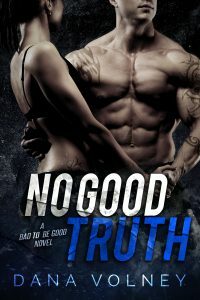 Able and Teagan must decide if an assassin and a do-gooder can overcome their pasts to build a future. One in which they both survive. 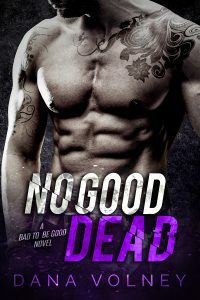 No Good Dead Cover Reveal! I am SO VERY excited to reveal the cover of NO GOOD DEAD! It releases 2/22/17. YAY!! My 3 year publishing anniversary requires giveaways! December 16th marks my 3 year publishing anniversary! I’m am SO THANKFUL to each of you for your continued support. I have loved every moment of being an author! You have made the highs intoxicating and the lows bearable. To properly thank you, here are 3 giveaways! Enter HERE for your chance to win this one size fits all pair of holiday print LuLaRoe leggings! Enter HERE to win an ecopy of the holiday novella that started it all: Holiday Hoopla! Halle Adams needs a loan. Blake Ellison needs a distraction. Will a business deal between strangers get hoodwinked by holiday hoopla? 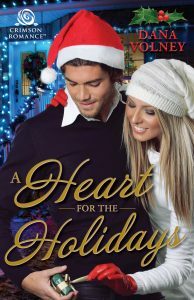 Enter HERE to win an ecopy of my newest holiday novella, A Heart for the Holidays! A Heart for the Holidays will absolutely delight those fans of the mainstream smash Me Before You who craved a happier ending! Silver Morgenstern is a hospital administrator who just can’t understand why Fisher Tibbs would request to be removed from the heart donation list. She’s determined to convince this big-hearted charity founder with so much to give that life is worth the fight. What she doesn’t expect is that the heart that’s saved just might be her own. **All giveaways will stay open until 12am 12/21/16. Feel free to share this newsletter and the giveaway links! Winners will be chosen and notified via the email they submitted. Winners have until 12/27/16 to claim the prize or it will be forfeited. A Heart for the Holidays is here!! !